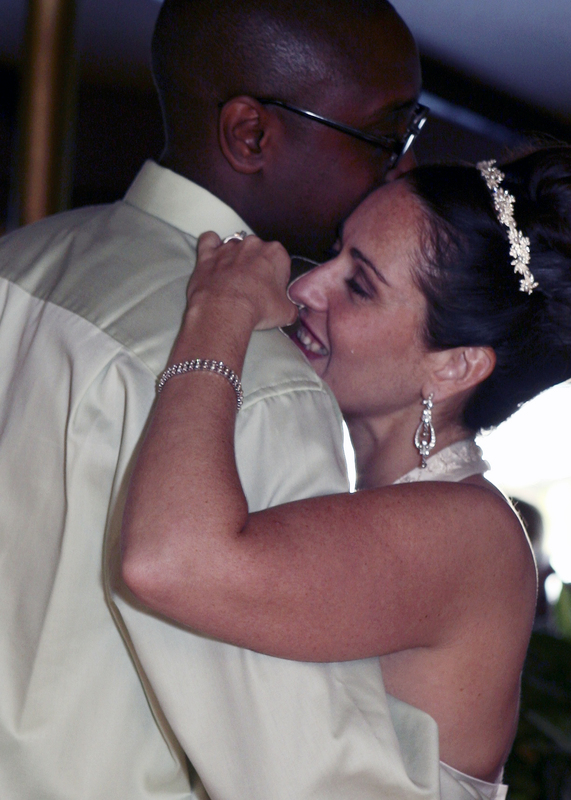 Today is my anniversary, my husband and I have been married for four years. 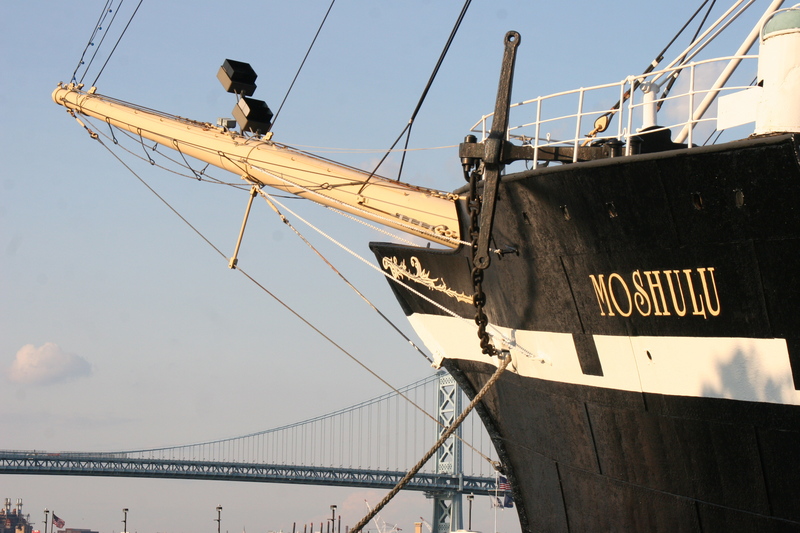 Tonight we will celebrate by going to dinner on the ship where we had out reception. We have done this every year. 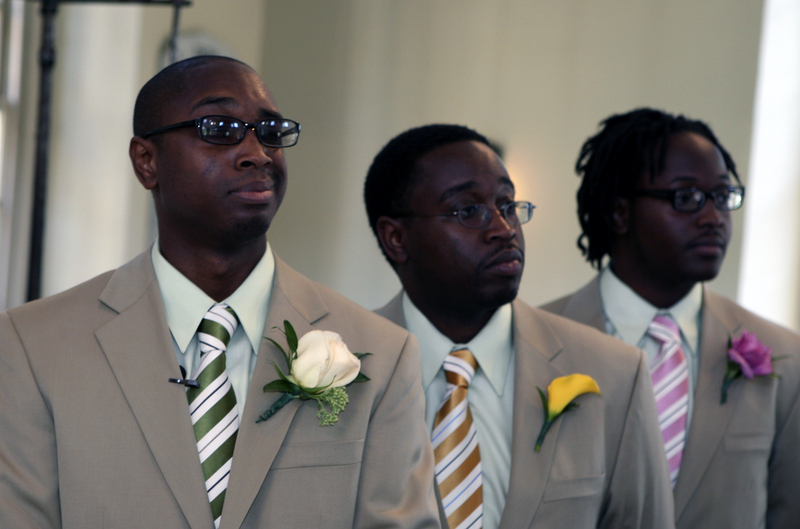 Here are some of my favorites things about our wedding day. 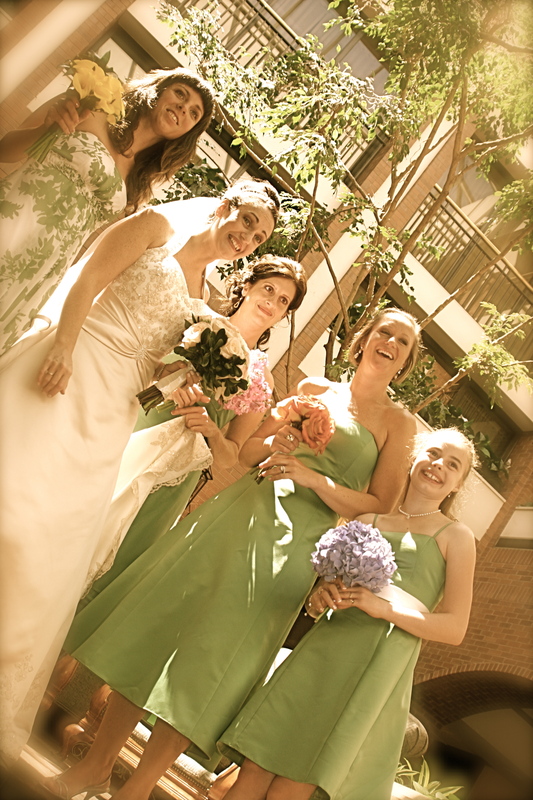 My bridesmaids wore green (of course!) They each wore a different style. I wanted them to be comfortable in a dress that they liked on themselves. It didn’t matter to me that they were not all the same. My maid of honor wore a print dress. I “did-it-myself” invitations (with help of good friends.) The theme was “We Do.” Here are the programs. 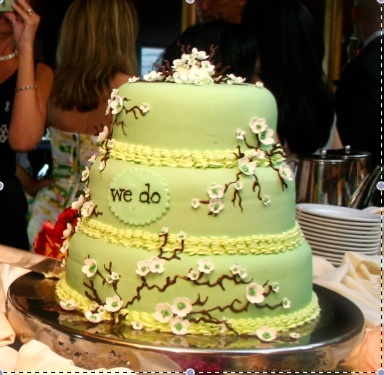 Our cake was also green and went along with our “We Do” theme. I carried my mother’s missal in the church. 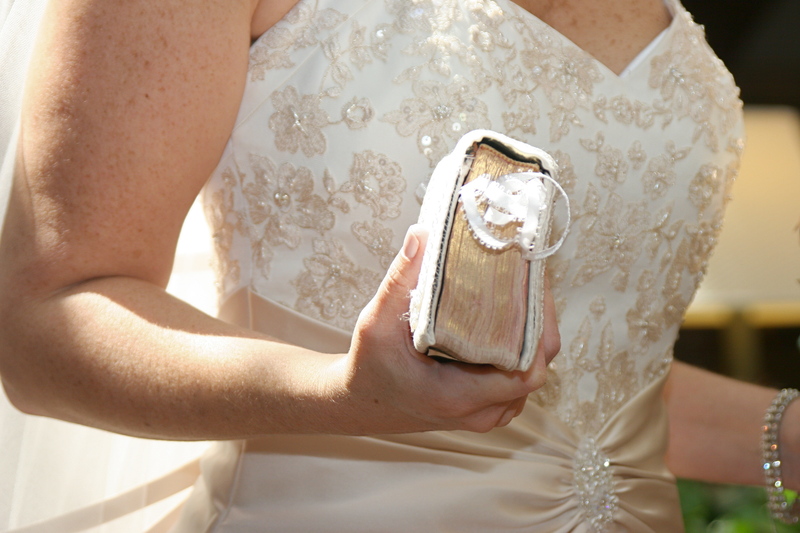 She also carried it the day she married my father. 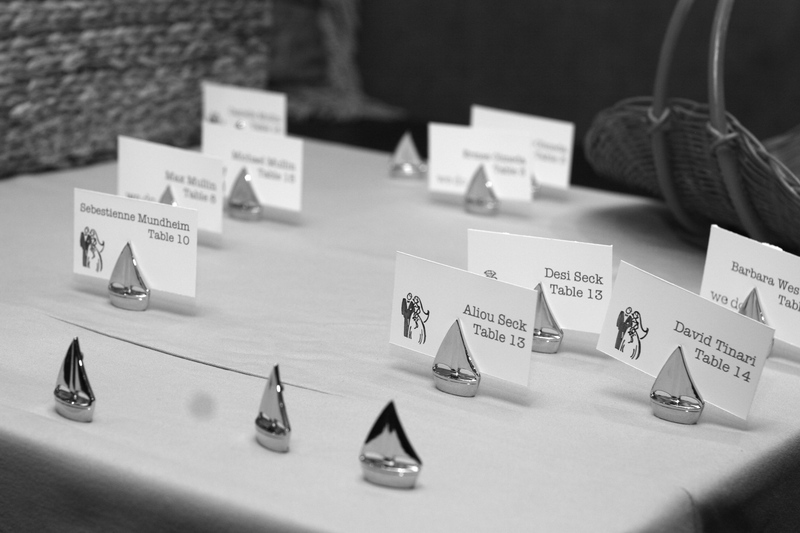 The bookmarks were places on my parent’s anniversary, my husband’s parent’s anniversary and August 16. 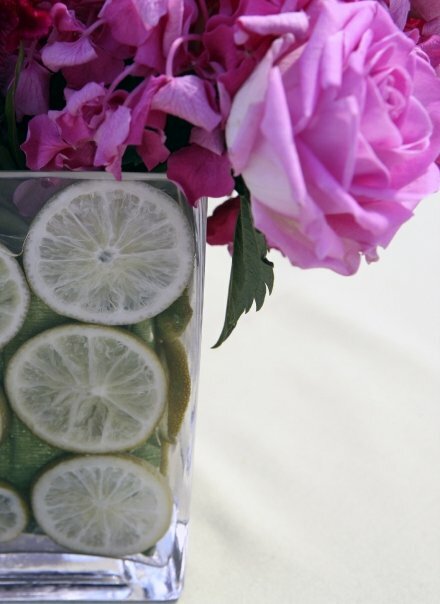 The cocktail hour centerpieces were pink flowers with green limes in the vases. 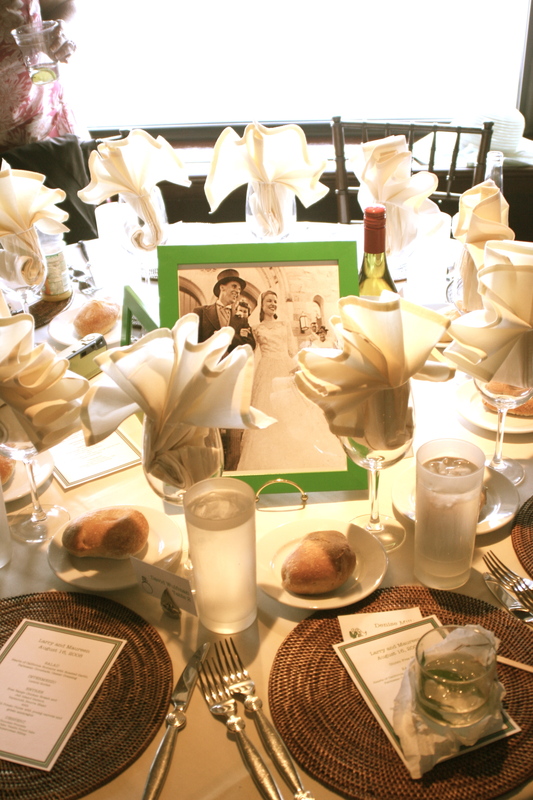 For our dinner centerpieces, we framed wedding photos of our family members in green frames (from IKEA!) Here is my Uncle Bill and Aunt Joan who married in 1950. 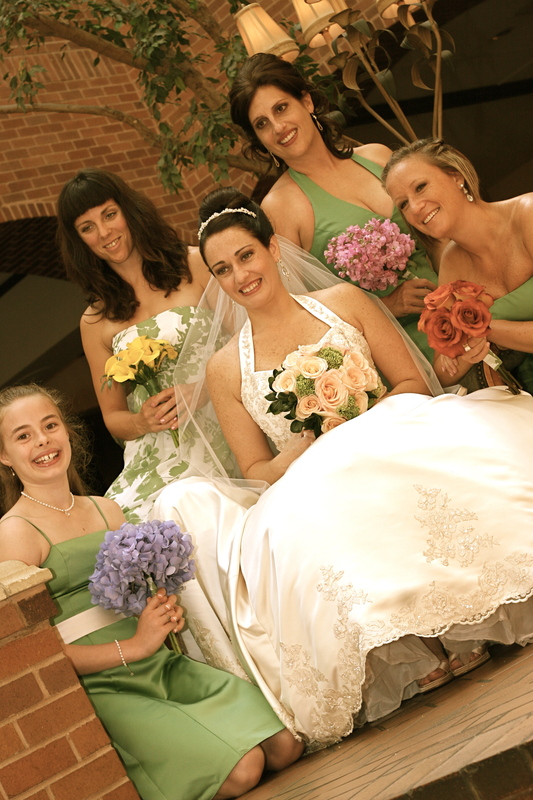 My mom was the Maid of Honor. You can also see our DIY menus. It was a beautiful day filled with love, family, and friends. It was the perfect beginning of our new life together – after all, when the day is done, the flowers are gone, and the big dress goes in the closet — it really is about all the days after, isn’t it? Did you attend our wedding? Do you have a favorite memory? I would love to hear it! 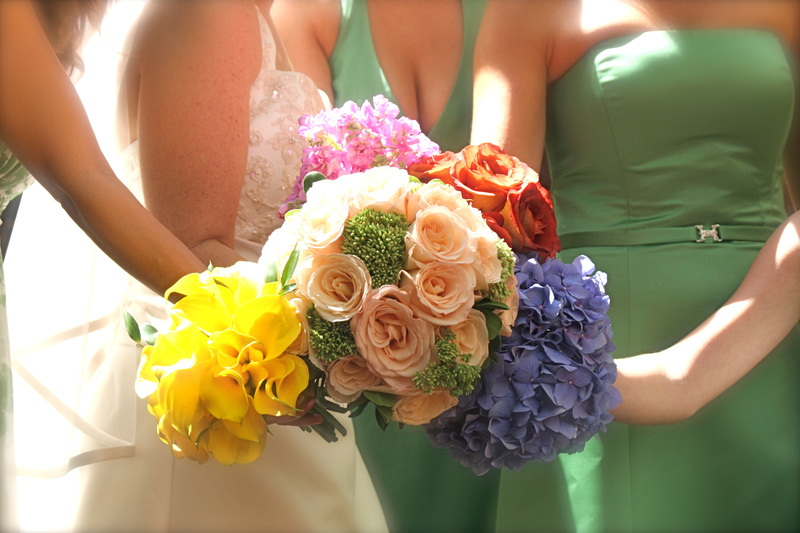 What are some favorite things about wedding you have attended or your own wedding? Leave a comment below. Thank you for reading! 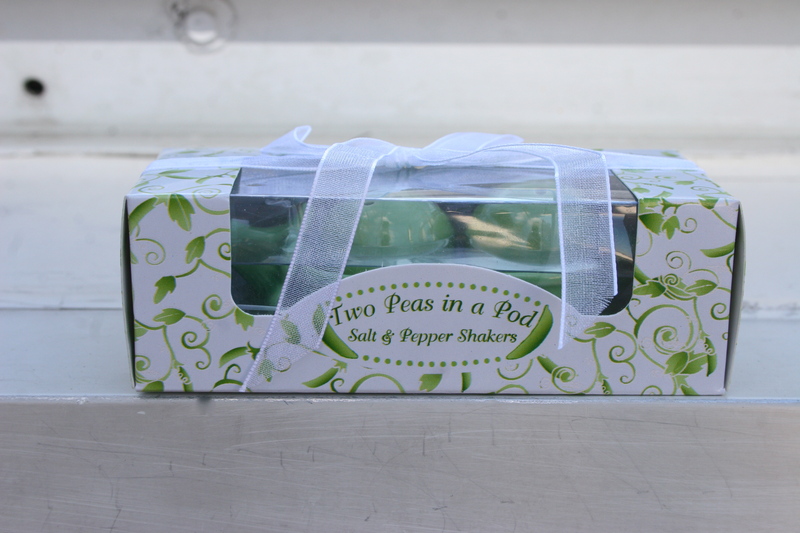 Green Two Peas in a Pod salt and pepper shakers – our favors for our guests. 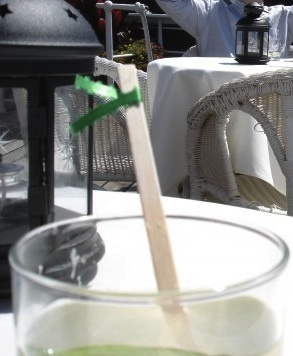 Our signature cocktail had drink stirrers with green bows – all individually hot glued by our amazing friend Leigh! I cannot believe it has been 4 years already, Maureen! Happy Anniversary! thanks Dana – I have to get out and check out your store soon!!! Thank you Denise – it was so great to have all the Awesome Dawsons there! I am so glad you have the Pea in a Pod shakers still!! Since my kitchen is green I have one displayed too! Happy Anniversary! It was great fun to help realize your vision with all the paper goods. (And of course I have to give a shout out to the drink stirrers!) Love you guys and here is to many more years together! 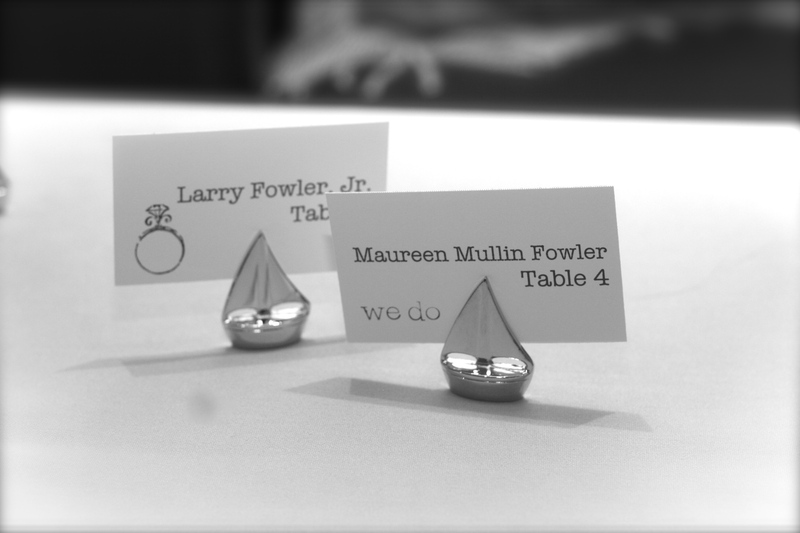 Thanks Leigh – I loved our invitations and was so lucky to have your help with them and of course the drink stirrers!!! Happy Anniversary! So many wonderful memories from that weekend! 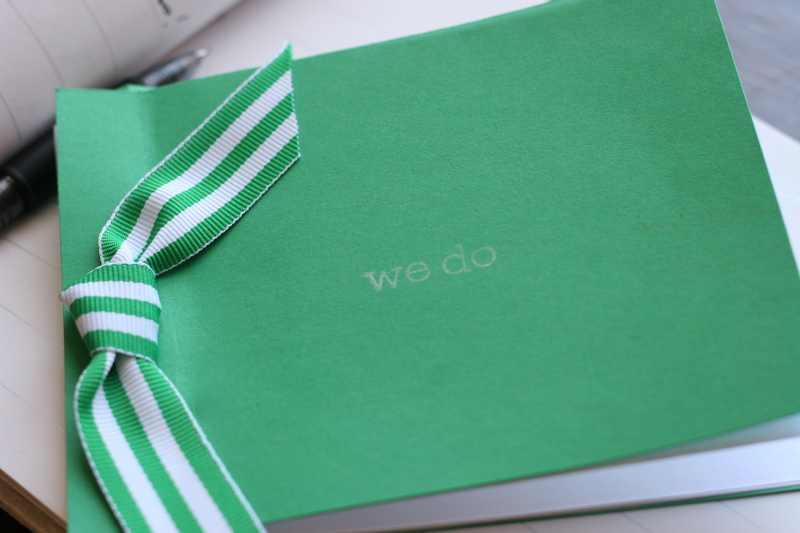 Love the “We Do” theme. Fabulous. Happy 4 years.